Where Is Oculus Founder Palmer Luckey? Just weeks after it was revealed by The Daily Beast that Oculus founder Palmer Luckey was the Vice President and funder of Nimble America, a pro-Trump, anti-Clinton “shitposting” group, Luckey is nowhere to be found at Oculus’s third official developer conference in San Jose, California. 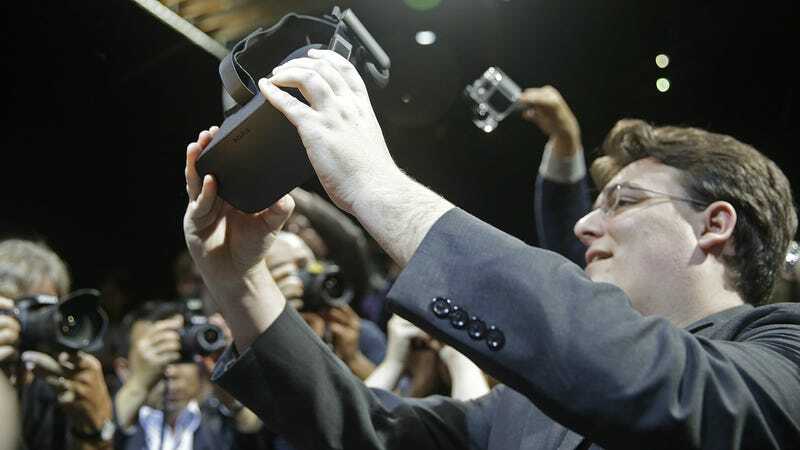 Luckey has in previous years been a mainstay at the Oculus conference. As the founder of the company that Facebook eventually bought for $2 billion, Luckey last year and the year before gave a presentation during the event’s keynote. But he has come under intense criticism after his association with Nimble America was revealed. Developers of Oculus games have announced that they are boycotting the platform until Luckey is no longer associated with the company. As reported by Motherboard and Gizmodo, Luckey’s social media presence appears to show his support of Trump and the online “Gamergate” movement, and he is in a long-term relationship with an avid Gamergater. It makes sense that Facebook may not want Luckey to be seen at the conference, as Luckey’s contributions and association with Nimble America clash with some of the socially liberal views of some of Facebook’s executives. Luckey wasn’t onstage during the keynote like he has been in the past. Instead, Oculus CEO Brendan Iribe, Facebook CEO Mark Zuckerberg and other senior Oculus employees took the stage. There have been rumors among some attendees here at the conference that not only is Luckey not in attendance, but that he is out of state. Have you seen Luckey? Send me an email at william.turton@gizmodo.com.